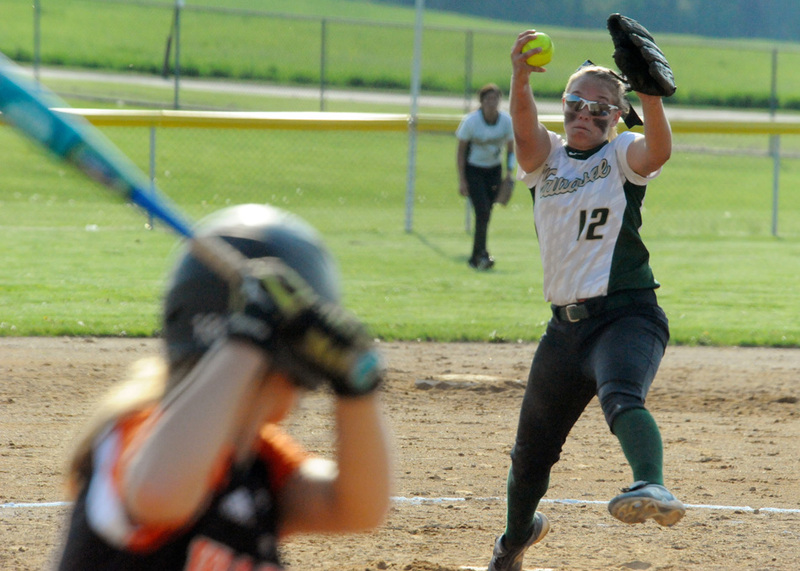 SYRACUSE – Round two of the Northern Lakes Conference softball season started Wednesday night, and while not the massacre of the first meeting, Wawasee dimed Warsaw, 11-1, in six innings. The big inning again helped Wawasee push in front. An RBI single from Madi Wilson got Wawasee on the board, which was followed by a two-run single from Kayla White. After White scored on a wild pitch, Cristina DeLaFuente later roped a two-run double to the gap, pushing the lead to 5-0. The snowball effect has had its moments for both clubs, pro and con, this season. Warsaw was sloppy in allowing Wawasee to build its lead, giving up two runs on wild pitches and another on a throwing error. Meghan Fretz also belted a solo homer in the fifth and ended the game with an RBI single in the sixth. Fretz’s stock is soaring for Wawasee, winning her fourth NLC game in a row in the pitcher’s circle, and the one run Warsaw scored – a Karly Jones RBI single in the top of the sixth – is all the hurler has allowed in any conference appearance this season. With the news coming Wednesday that Wawasee’s No. 1 starter, Amber Lemberg, is out with an ACL tear, Fretz’s grit has been needed. Fretz allowed just three hits and struck out 11. Warsaw, which fell to 2-11 overall and 2-6 in the NLC, did make Fretz work despite the gaudy numbers. Warsaw had runners in scoring position in the first and second innings but ended the inning on strikeouts. Taylor Stiver labored in the circle, giving up 10 hits and walking four in five-plus innings. Dishman, however, saw marked improvement across the board for his club, which host Goshen Friday, one of the two NLC teams the Tigers have beaten this season. Wawasee moves to 14-2 overall and 8-0 in the NLC with a tough game Friday night at home against Elkhart Memorial. The JV game had Wawasee come out on top, 8-7, in a wild one. Warsaw took a 7-6 lead in the top of the sixth inning only for Wawasee to score two unearned runs in the bottom of the sixth on a throwing error on a sacrifice attempt. 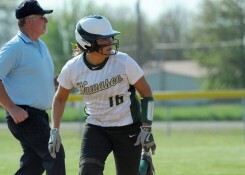 Nicole Streby led Wawasee with a homer and three RBIs and Christy Carson added two hits and two runs scored. Emily Newton had two hits and two RBIs for the Lady Tigers. Warsaw’s Taylor Stiver stands on deck while Wawasee’s Meghan Fretz delivers a pitch. Wawasee’s Allissa Flores advances to third base against Warsaw. Warsaw shortstop Abby Glass makes a play while Wawasee runner Kayla White looks to avoid contact. Home plate umpire Mark McCammon shares a laugh with Warsaw’s Taylor Stiver. Warsaw JV pitcher Kailin Hopkins delivers against Wawasee. Wawasee JV third baseman Megan Bray throws to first for an out against Warsaw.